The title of this post applies to anyone you are going to war with through the court system. It could be your spouse or even your business partner, but at the end of the day you will not think he or she is the same person you knew before, and the likelihood is that they will be thinking the same about you. What is so disturbing is that both of you will be correct. Hopefully it will never happen to you, but if you ever get into one of these street fights, my advice, based on personal experience and a long career in financial planning, is to settle your disagreement before it goes any further. The worst voluntary resolution of your dispute is worth far more than the best court mandated settlement. If you choose to ignore this advice and litigate rather than pursue a negotiated settlement, remember that both parties will lose, so your objective is not winning but attempting to lose as little as possible. Legal fees are only one reason why this is so. With attorney fees ranging from $300/hour to $500/hour in the San Francisco Bay Area, legal fights are expensive. There is an entire team of attorneys, expert witnesses, accountants, psychologists, vocational specialists and financial advisors, earning money at your expense, so legal costs for each party can reach six figures very quickly. Every time you or your attorney contact each other or the other parties to the dispute, by phone, email, fax or other, the cash register is ringing, and many attorneys will even charge you for ‘shower time’ because they, of course, never stop thinking about your case. It was with a heavy heart that I used to see the bulging envelope from my attorney every month containing the itemized costs of my folly. My own partnership dispute, many years ago, was undoubtedly the worst twelve months of my life. I, and no doubt each of my former partners, listened to good advice about the importance of resolving our dispute voluntarily through mediation rather than pursuing a resolution through binding arbitration. However, it’s difficult to stay cool and collected in a street fight. One party accuses the other of X and issues a complaint. The other party feels obliged to respond by issuing their own counter-complaint and the process rinses and repeats. Children in a divorce, and clients in a business dispute, are inevitably dragged into the arena. Egos come into play and because there are no rules in a street fight, few can afford to take the highroad, and the situation becomes a race to the bottom, at which point everyone involved, including the attorneys, have lost their dignity. A lawsuit is one of the most stressful experiences you will ever have, perhaps only less stressful than the death of a close family member. Your children will suffer either directly or indirectly. If you are divorcing your spouse your children are already suffering, but one parent’s desire for revenge often overshadows the well-being of the children and things are said and done that cause severe damage to the parent-child relationship. Even in my business lawsuit I lost a year of priceless quality time with my wife and daughter when the latter was at a wonderfully tender age. Finally, if you go to court the outcome is totally unpredictable so it makes absolutely no sense at all to place yourself in this situation. Swallow your pride, put your ego away, and sally forth to negotiate your settlement. One structural problem lies with cases where at least one party doesn’t need to pay their lawyer because they get legal aid. They have less of an incentive to settle (quickly) because they are not covering the bill. … requirement to go to court, even if nobody wants to. Only a court can grant you a divorce, you can’t agree on this outside of court. 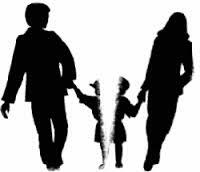 Only a court can transfer child custody. Then, if the parties are already before they court, they throw in all the other stuff which could ell get settled outside of court. Andreas,thank you for pointing out that only the courts can do certain things. However, as you know, there is a huge difference between having a judge sign off on the terms agreed in a collaborative divorce and having those terms litigated in an adversarial manner. Thank you Andreas. That’s a great point about people receiving legal aid. Don’t forget the ancillary relationships. My son is going through what you described and it’s like revisiting a dark chapter in my life. The pain I felt, the pain my son and grandchildren are going through is acute. Also, I remembered the girl he married and always liked her. It’s hard to be wise and dispassionate. Thank you Cindy. That’s a great point. The ripples of pain from a litigated divorce spread out in ever-widening circles. Great advice. I hope I don’t find myself in a position personally or professionally needing to heed it. I was trained in basic mediation at my former job. The training was invaluable and kept myself and my team from due process in many cases. We went into meetings knowing what we would or would not be willing to compromise. Thank you. As you know, being aware of those parameters is half the battle when negotiating anything. Sad but true. We value competition much too dearly to ever consider compromise. The word has become an insult. Mikels, thank you. You put your finger on the problem. We want to get the better of our opponent even if it means that both parties receive less than they would have in a negotiated settlement. Clearly besting our opponent provides some psychic satisfaction that needs to be dispelled before contemplating a voluntary negotiated settlement. Sage advice. Court settlements should be a last resort. If you get that far, you’ve already lost. Having lived the dream of divorce I can attest to everything you state here, Malcolm. In my case, the divorce was the easy part. Just sign on the dotted line and we had no significant assets to fight over. The war came to the child custody issues and as you say there are no winners (except for the lawyers), just varying degrees of losers. Jeff, thank you. I am sorry you had to go through this. In hindsight, the whole experience made me smarter and stronger but I wouldn’t wish it on anyone. Your advice is solid, Malcolm, and didn’t even cost us $300/ hr. Win-win. This seems like sound advice, Malcolm – though I’ve not had any such experience in business or relationships. I have, sadly, seen countless others destroyed or diminished, in many respects, the result from contentious separations. Recovering from loss is too often difficult. Eric, you are so right. Recovering from financial loss is very difficult, but you can never recover lost time with your children. Nico, thank you, but even being a witness can be taxing. I was once an expert witness and felt so dirty afterwards that I swore never to do it again. Inion, thank you, but I’m not sure what to make of your effusive praise for this post, particularly in comparison to other posts you have seen on the subject. Are most people so trapped in their gender roles that they forget that both men and woman are alike in being fallible creatures struggling to make their way in an indifferent world? Malcolm, there is strength in this honest piece of writing! Thank you Hanne. If anyone can sense honesty, you can. You’ve made me feel very fortunate and lucky with your well written piece. Advice I will be smart to hold onto. Hopefully I’ll never need it. I certainly hope so too. How about a legal haiku? Having survived this kind of ordeal, I must say, you are on spot here Malcolm. Great insight. Great writing–as usual! Thank you. I’m sorry you had to go through that. Negotiation, Mediation and Arbitration are not just words. They could be the difference between you alive and healthy or you barely alive and broke.